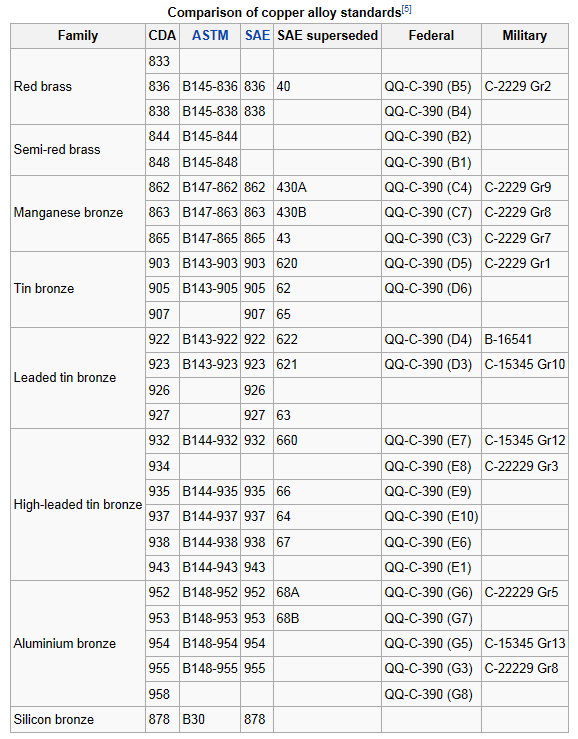 Here in one great resource I found for technical details of copper, brass, and bronze alloys. 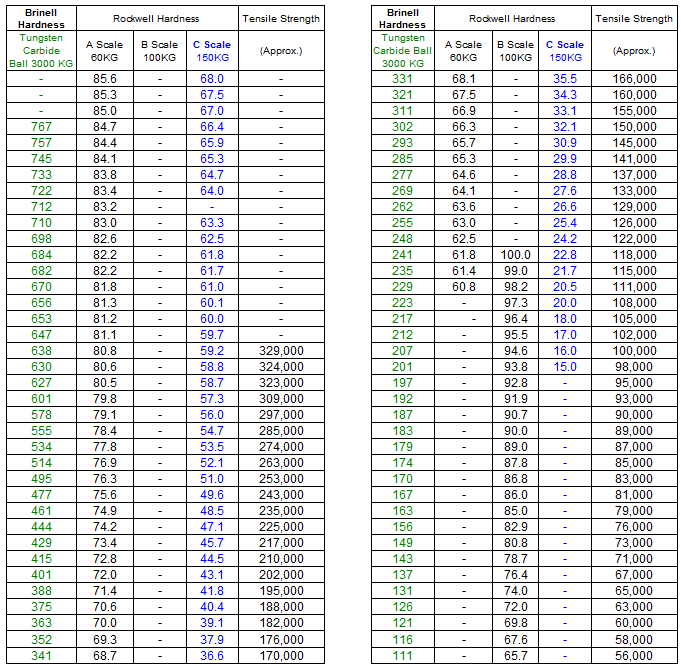 It also has a nice comparison chart that shows the comparable designations between the CDA and the SAE series of bronzes. Jordan Machine Company, Birmingham, AL is hiring machinists and skilled shop workers. Even those who need training for a machining career will be considered. MACHINISTS needed – Major job shop in Birmingham area needs machinists and skilled shop workers. Will train if you have suitable experience in related manufacturing workflow. Desired skills include milling, lathe turning, blueprint reading, forklift experience, overhaed crane experience, mechanical maintenance, assembly experience, millwright skills. Call 205-849-5050, or fax resume to 205-849-5075. Having recently acquired the domain www.PlasticShredder.com, we’ve begun adding content to a few pages on the new site to highlight the special capabilities of our twin shaft shredders to the shredding of plastic materials. Many manufacturing process today deal with plastics or similar materials like HDPE or PVC, and every one of them require shredding or grinding of the plastic materials at some point to prepare them for extruding, molding, or other manufacturing process. These heavy duty twin shaft shredders are designed for high production rates and offer flexibility in particle size by changing the cutting knives or screens. In contrast to many foreign equipment options like those listed at http://shredder-china.com/industrial-shredder-introduction, these machines are manufactured in the United States using precision CNC machines. Videos are available on the site which show the shredders at work in many test cases like plastic buckets, shredding hoses, plastic films and other materials. In many plastics manufacturing processes, once the parts or material is complete, it’s often necessary to shred or grind these materials to allow them to be recycled or reused in the manufacturing process. The value of this oil-based material is is quite high and increases in direct proportion to the cost of oil. Therefore, most production lines require a shredder or high speed grinder to prepare the material for further processing. We wanted to break out a special site dedicated to dual shaft shredders and how they can be used in plastic grinding and shredder systems to help with the growing focus on “going green” and clean manufacturing. 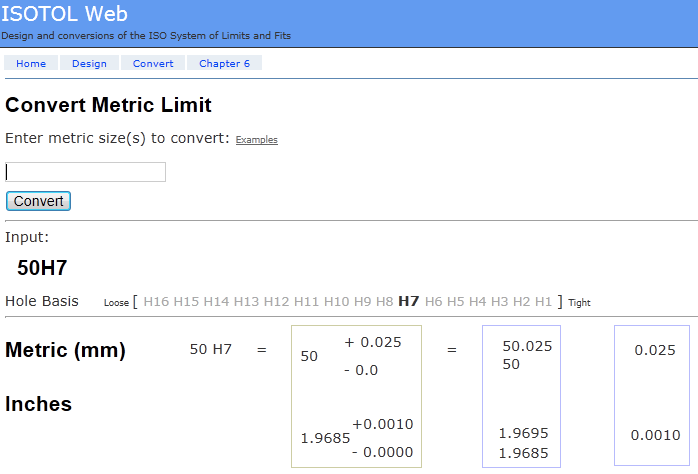 They have a simple web tool that will convert lookup metric limits and fits from the metric standards book! Converting a metric limit or fit designation can be a real pain. 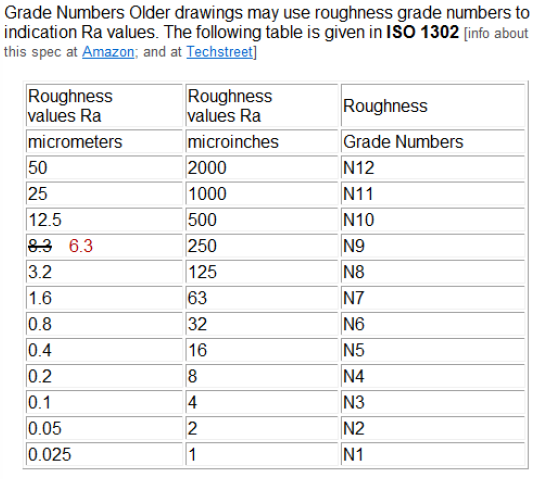 A mechanical drawing may have a metric size and tolerance like “50e6” or “80 H8/f7”. What in the world does that mean? Well, there are tons of charts all over the internet to show you the amounts to add and subtract to a basic size for a give limit specification. However, it takes a ton of time drag out the charts or a book and look up all the numbers. Plus, the whole process is error-prone; one small mistake and you’ve just created some bad data. Also, in our machine shop business, after we complete the conversion process on the metric sizes and limits, we usually convert them to inches to help out with production on the shop floor. Well, let me point you to a site where you can actually lookup and convert metric limits and fits right from your web browser: http://GOmetricUSA.org/metric-limits-and-fits-convert.html Give this wonderful tool a try on the Design or Convert tab on the page, and you’ll wonder how you ever lived without this. Announcing a new blog post on our Jordan Reduction Solutions web site comparing the different functions of a shredder versus a grinder versus a granulator. Our engineering team has compiled a brief summary comparing each of these pieces of equipment used in grinding, shredding, and granulating processes in industrial applications. Follow this link to compare a shredder, a grinder, and a grinder to a granulator. I’ve been at Jordan Machine Company for about 18 years now, and for many of those years we have been a key vendor to what is now Jordan Reduction Solutions – a manufacturer who designs and installs heavy duty industrial shredders, tire shredder (like the PT-6000 Passenger Tire Shredder). All of these machines are really quite impressive in their brute force way of ripping and tearing apart anything you throw at them. You can see several impressive videos on their web site on the shredder videos page. For instance, the granulator machine is for fine shredding and grinding of materials like plastic, PVC, wood, and just about anything else you throw at it. These are the smallest of all the machines, and cut with a high-speed rotor machine from solid steel, and has replaceable hardened knives that can be swapped out when the wear. I’ve personally stood over a tire shredder and looked into the cutting chamber while it ripped up a car tire in seconds and dropped out little bits of rubber through the discharge screen. The sound is absolutely incredible; like something you’d hear in a scary movie. They can shred up the whole tire all at once, even that heavy bead that’s on the inside where the tire mounts to the rim. Some of the rubber grinder machines can even separate the wire out of the rubber, since that is required in some applications. The tire rubber (sometimes called “tire shreds” or “crumb rubber”) is used for a variety of things from Tire Derived Fuel to manufacturing rubber hoses and mats, to playground coverings. Jordan doesn’t market the rubber products that these machines generate, they just specialize in helping companies get the tires shredded up. These Grinders machines were once actually called “hog mills” or “hog grinders” because way back in time, they were commonly used to grind up, well, hogs for the food processing industry. These days they have become very popular for other industrial grinding applications like plastic grinding. These machines were originally designed and sold by Mitts and Merrill, so many of them would be known by that brand. Then there are the dual shaft, or, twin shaft shredders. These machines have two shafts, rotating in opposite directions, and each shafts is loaded full of thick cutting knives with hooks on them to grab the product and pull it into the machine, chop it up, and discharge it out the bottom. The shafts are hex shaped, and the knives also have an internal hex shape so they can be driven by the shafts. The machines typically rotate at slower speeds, and they can also be equipped with screens to filter and refine the product size that comes out of the shredding process. Other ways to refine the process include using thinner knives, or adding more hooks onto the knives, and even altering the reach of each hook to grab more or less of the product being processed. They also have plenty of shredding equipment set up in a test lab where customers send in samples of product they’d like to be shredded up into various sizes. I’ve seen them chop up carpet scraps, entire wooden pallets, and they can even grind up large bails of rubber and various plastics into small shavings or pellets. The machines use a qualifying screen to determine the final particle size, so they can swap out the screens and achieve different output. So that’s a little info on what it’s like to be involved in the shredder industry. Jordan Reduction Solutions is a great company to work with for your shredding, chopping, and grinding needs for industrial applications. Please check them out at the links I provided at the top of this article.